Michele Carey’s appearance (YouTube) needs to be searched specific to the MFU’s episode mentioned. Playing the role of U.N.C.L.E.’s office staffer, authorizing badges to the agents, she is very beautiful indeed. And has quite the flirty presence, even in the briefest of shots!! 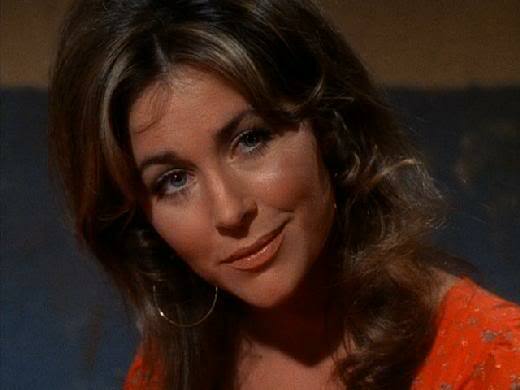 Michele Carey should have received more attention than she did. She was very talented, beautiful and worked with the likes of Elvis Presley and John Wayne. Those who knew Michele will miss her.